The aim of the Competition is to promote contemporary trends and techniques in composition and performance in music educational centres. The Competition is organized by the Bronisław Rutkowski Primary and Secondary Music School in Kraków. The auditions for the Performance Competition will be held on 14 – 17th March 2018 in the Bronisłąw Rutkowski Music School concert hall at 10 Józefińska Street, Kraków. The Competition is open to participants from Poland and abroad who study in both public and non-public schools. Secondary music schools graduates as well as music colleges students and graduates cannot participate in the Competition. Category C – chamber ensemble: vocal, instrumental, vocal-instrumental music ensemble. Teachers are not allowed to perform in Category C. This rule is not applicable to choir accompanists or accompanists of children vocal ensembles or orchestra conductors. If the members of an ensemble are at different ages, arithmetic mean of the members ages will be calculated and taken into account. The Competition repertoire comprises works of contemporary composers born after 1st January, 1900. The repertoire should reflect diversity of modern trends, techniques in composition and performance, excluding Post-Romantic works. – together with the free programme: two compositions diverse in character (as in point 1). – together with free programme: two compositions diverse in character (as in point 1). Compositions including digital sound sources are allowed. 25 minutes for Group IV. The presentation time cannot exceed the limits given in point 5. The Jury reserves the right to interrupt the performance that exceeds the time limit. The Competitors are permitted to play from music. The Competitor may be disqualified if the repertoire chosen for the performance does not meet the requirements of the Competition Rules. The Course of the Competition will be supervised by the Secretary of the Jury together with persons appointed by the Secretary. The Organizer will make it possible for the Competition participants to have rehearsals according to the schedule which will be established after the final list of participants is completed. The auditions will be held according to the order established by the Organizer. The auditions will be open to public. Copies of composition scores chosen by the Competitors should be available on request of the Jury. The Organizer will not change the order of Competition performances after the final list of participants is published on the Competition website. The Organizer will make decisions on all matters exceeding the powers of the Jury. The decisions of the Organizer are binding and not subject to appeal. Entering this Competition is tantamount to acceptance of the Competition Rules. Three prizes may be awarded in each age category. The Jury may also award honourable mentions or Grand Prix for the artistic personality. The Jury will also award The Professor Adam Kaczyński Prize for the best performance of the avant-garde composition. The Jury will have right not to award individual prizes foreseen in the Competition Rules. The decisions of the Jury are binding and not subject to appeal. Every participant of the Competition will receive a certificate. Teachers of the awarded laureates as well as outstanding accompanists will receive certificates. All laureates will be required to appear in the prize-winners’ concert on 17th March 2018 in the Bronisław Rutkowski Music School concert hall. The Jury will establish the repertoire of the prize-winners’ concert. The uncollected awards and certificates will not be sent by mail for practical reasons. Candidates wishing to enter the Competition will have to submit the application form available at www.sm1krakow.eu/srebrna-szybka by 18th February, 2018. Registration fee is 120 PLN per one participant. In category C registration fee depends on the number of members in an ensemble. 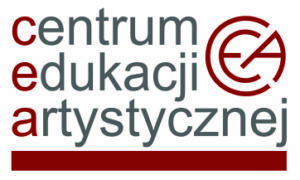 For ensembles consisting of 2-7 members the registration fee is 120 PLN per person; for ensembles consisting of more than 7 persons the registration fee is 60 PLN per person. Ensemble conductors are exempted from the obligation to make a payment. Important: Registration fee must be received between 1st February and 15th March 2018. Receiving payment by the Organizer is prior to admitting the Competitor to the auditions. Fees are non-refundable in case of resignation. Submitting the registration form is tantamount to acceptance of the Competition Rules excluding possibility to make an appeal. Competitors are responsible for their own travel and accommodation expenses.